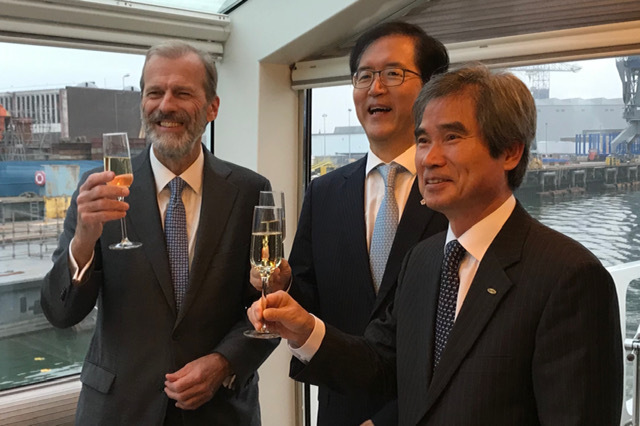 On 19 November 2018, the Busan Port Authority and the Port of Rotterdam Authority signed a Letter of Intent for the allocation of a 5 to 10-hectare site on the Maasvlakte Distribution Park West. It is the second LOI signed in a short time for this distribution site. The Busan Port Authority wants to develop a sustainable warehouse on the Maasvlakte Distribution Park West, to be used by multiple, mainly Korean, service providers. Combined with the previous agreement, this means that 15 to 20 hectares of the total available 100 hectares have already been reserved. The Busan Port Authority (BPA) is the governing body of the South Korean port of Busan, responsible for the maritime and seaport trade in this leading seaport in the country. The BPA was founded in January 2004 to contribute to the national economic growth by developing Busan Port as a global logistics hub.